I just purchased shrimp fried rice, shrimp egg foo young and fried chicken wings. This is the worst fried rice I have ever had. It wasn't fried at all it appeared to be yellow rice with hard peas and boiled shrimp. The small side of gravy for the (3)egg foo young wasn't enough to cover the patties. The chicken wing wasn't a whole wing it was part of a wing. I will never go there again. We always have Golden China deliver to us. Their house fried rice is really good and you get enough to feed your family and have leftovers for a really low price. Plus they deliver really quickly. Love love LOVE it! ...? I recently moved to the area and was on a search for a good pick-up/delivery Chinese restaurant. I decided to give this place a shot since it was right around the corner....and boy was I pleasantly surprised! The food was fantastic! It even pleased my little boy who is very particular about his Chinese food! 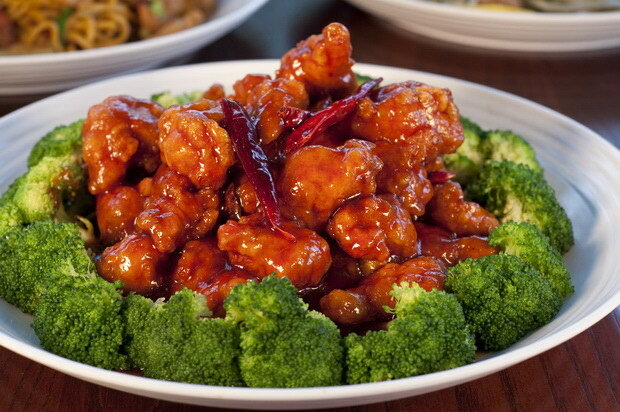 There is no doubt that I will continue to visit Gold China for my Chinese food fix!? The food at Golden China is pretty good for chinese delivery, unfortunately the process of ordering is ridiculous. The lady who generally answers the phone is rude, constantly interupting you in the middle of your order. If you are lucky enough to get the order out, she will hang up on you before you can offer to pay by credit card. On one occasion, she refused to deliver because she didn't like the telephone number that I gave her, even though it was my local cell phone in the area. In the past, I've ordered hundreds of dollars worth of items on a monthly basis as I work nearby and have used them for catering. At this point though, I"ve finally given up on them because of the horrible person who takes the orders. If you're fortunate enough to speak with the gentleman that answers the phone occasionally, he is quite pleasant. ?